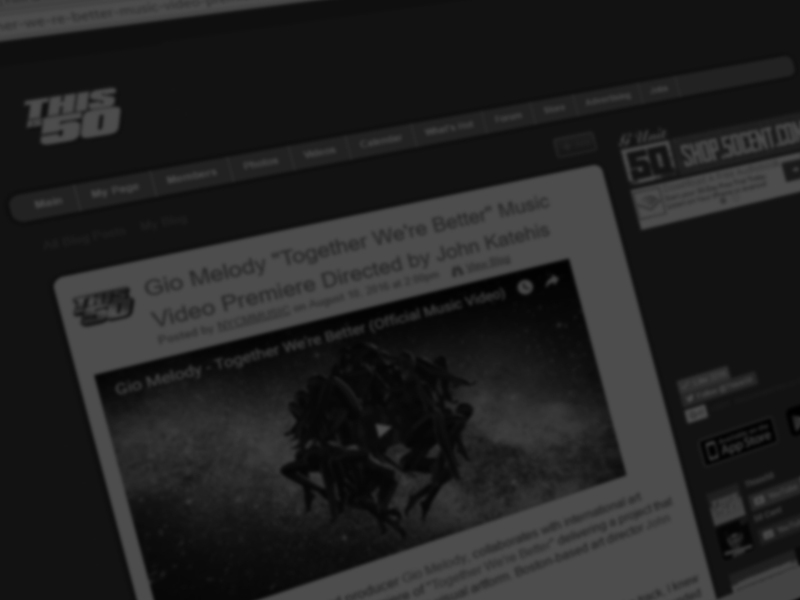 Happy to announce that my work for Gio Melody “Together We’re Better” premiered on 50 Cents’ official blog thisis50.com. Below is an excrept from the article. Hip Hop / R&B vocalist and producer Gio Melody, collaborates with international art director John Katehis for the premiere of “Together We’re Better” delivering a project that combines musical soundscape and pure visual artform. Boston-based art director John Katehis states. John Katehis has worked with various grammy award nominated artists and holds plenty of award nominations under his belt globally. Some of his work includes, G-Unit, Mobb Deep, Sheek Louch, The Alchemist, Wyclef, Curren$y, DOPE D.O.D and many more. He is also known as the official art director of H-Class Entertainment, New York-based music label founded by Havoc of Mobb Deep.